Elaine Ramos is the Design Director at Cosac Naify, the main publishing house in Brazil dedicated to visual arts, where she has designed hundreds of books and coordinates the design team. 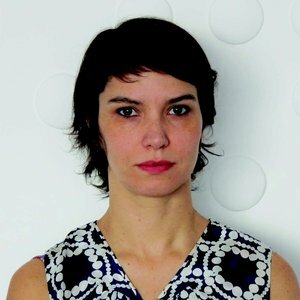 Since 2005 she has edited the releases from the design section, which includes translations of fundamental titles as Meggs’ Design History and originals researches about Brazilian design. Between 2008 and 2011, together with Chico Homem de Melo, she was dedicated to a research that resulted in the book Linha do tempo do design gráfico no Brasil [Brazilian Graphic Design Timeline], surveying more than 1600 images that compose a panorama of two centuries of the Brazilian production. In 2013 she became an AGI member.